Sticky sublimation paper, means the sublimation paper with sticky on one side, and this side is the printing side. 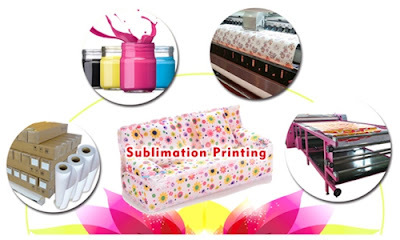 For sublimation printing, the sticky sublimation paper has it’s advantages and disadvantages. The sticky sublimation paper can help you avoid the ghosting, especially when you use the stretch fabric or you use the flat heat press machine. Because when you use the roller heat press machine, paper and fabric are firmly stick to each other from the beginning to the end, there’s no chance that they will separate in the process. 1. The price. Compared with fast dry sublimation paper, the sticky sublimation paper is more expensive. 2. The drying speed. Because there is a sticky coating on the printing side, so the sticky paper usually dries slower than the fast dry paper. 3. The transfer yield. Our non-tacky sublimation paper could deliver the 96.% sublimation ink to the substrate, the tacky sublimation paper is 95.7% . 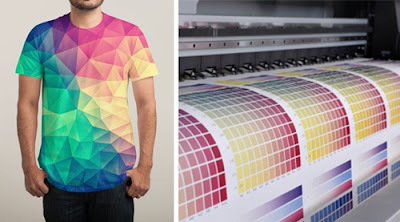 When people ask us which kind of sublimation paper they should use, we usually suggest them to do some tests before deciding. 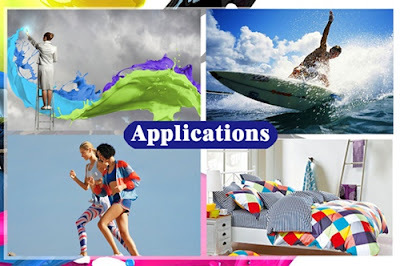 If you find the fast dry sublimation paper is OK, you can save a lot of money.